Our range of Breakfast Mixes is the result of years of culinary expertise. They are not just 100% vegetarian, but are also subjected to the most rigorous quality procedures to ensure that you get deliciously consistent results every time you use them. All you need to do is simply follow our step-by-step instructions on the pack to re-create the best-loved and traditional favorites of Indian breakfast. A signature dish invented by MTR Foods for a healthy & wholesome breakfast. 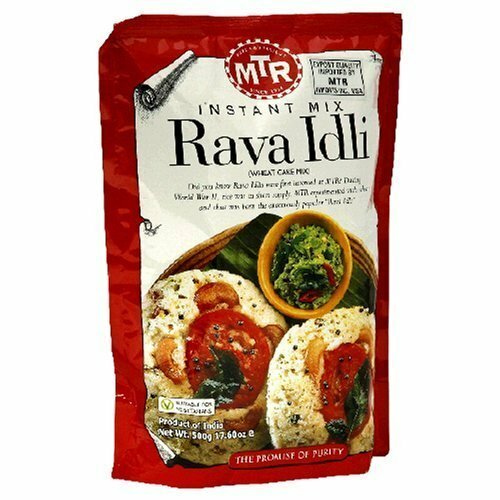 A delicious, traditional breakfast for you and your family is now ready in an instant! Serve hot with MTR sambar, coconut chutney and potato curry. Garnish with tomato slices and cashew nuts. View More In Indian Dishes. If you have any questions about this product by Rani Brand Authentic Indian Products, contact us by completing and submitting the form below. If you are looking for a specif part number, please include it with your message.